Do you dread going to the dentist? Some patients can feel nervous at the slightest mention of the dentist and will choose to live with the tooth pain instead of having the simplest procedure. Whether you have a very old idea about dentistry, or if you do not know how accommodating most dentists are to phobias, simply talking to a dentist can change how you think of dentistry. In any event, sedation dentistry can alleviate your anxieties about your appointment. Even if you have a low pain threshold, or if you have problems sitting still in the chair, you may benefit from the many forms of sedation. Most dentists can perform it at the lowest levels and can combine it with a local anesthetic when doing work that may lead to pain. • Inhaled minimal sedation. Sometimes called “laughing gas,” nitrous oxide is mixed with oxygen and administered through a mask over the nose. The effects do not last long, but they are tremendously effective in helping you relax. • Oral sedation. This is usually in the form of a pill taken about an hour before the procedure. Dosages may vary, but typically there is enough drowsiness induced so that the patient will actually nod off during the procedure. • IV moderate sedation. The dentist administers the sedative through a vein for the sedation to work faster. • Deep sedation or general anesthesia. When this option is chosen, the patient is given enough medicine to be unconscious for the duration of the procedure. The patient is brought around by the doctor, or the anesthesia is reversed by other drugs. 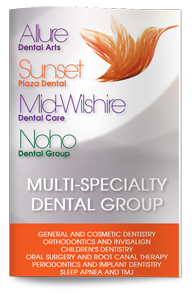 Not all dentists are authorized to perform all four levels of sedation. Before your appointment, ask your dentist which of the methods is available to you.